The Gateway Shopping Center by Joe Amato, is a community landmark located in Edwardsville, PA and is a favored shopping destination amongst the local populace. The open air center features over 194,000 square feet of retail businesses, restaurants and professional offices, providing homes to more than 50 local and national businesses. Busy State Route 11 (S. Wyoming Ave.) provides a traffic count in excess of 20,000 vehicles per day and is a major thoroughfare to the area’s 140,000 + residents. Gateway is a neighborhood center with a unique assortment of clients. 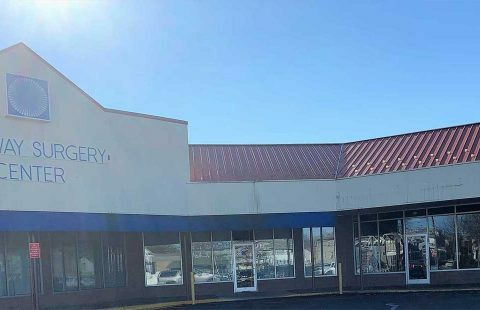 In addition to Planet Fitness, Salon Centric, Rent-a-Center, United Check Cashing, Subway and the UPS Store you will also find the Legendary Grotto Pizza, Justice Grown, Prom Excitement, Valley Pediatrics and P&R Discount Groceries. Whatever your need may be, you will find it at the Gateway Shopping Center. Amato Properties aims to exceed our client’s expectations. Our team of professionals will share their extensive knowledge of business development and the marketplace with you long after the ribbon cutting. They will shoulder the issues of planning, development and property management. Joe Amato Properties is the premier commercial leasing company in Northeastern Pennsylvania. Let us be your Gateway to success!